Bucky Bingo want your chat up lines! 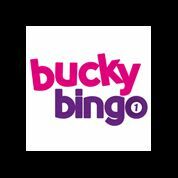 Bucky Bingo has an exciting new promotion that started on the 1st February and it’s all because Bucky’s in love and needs your help with some smooth chat up lines! This unusual competition will be running on the Bucky Bingo Twitter page where you will be able to submit your best chat up lines and could win an amazing prize. All you need to do to take part in this fun promotion is to send a ‘tweet’ with your best chat up line to @Matt_at_Bucky or you can send an email to [email protected] if you prefer. Whether it’s funny or serious simply jot it down and send it on but make sure it’s at least 140 characters long. Bucky Bingo will trawl through all the chat up lines and when they find their favourite the winner will be given a date to remember in London. First, there’s a flight on the London Eye followed by a romantic cruise along the Thames which also includes a 4 course a la carte dinner and entertainment. If you fancy a dream date in the city with someone special then why not take part in this quirky competition, it costs nothing and you’ll have a good giggle looking at all the other entries on Twitter so make sure you check it out. New members to Bucky Bingo will enjoy 100%depositbonus on first deposits up to a huge £250 so if you haven’t got an account, sign up now!